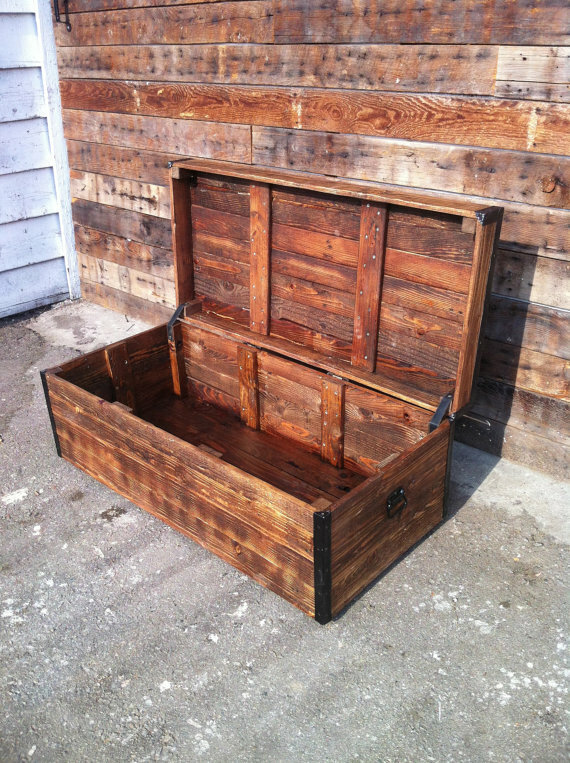 J&S Reclaimed Custom Wood Furniture – Check Out The Beautiful Things Joshua & Steve Are Making! We at ILiveInEastVan.com are always in awe of some of the amazing creative minds that are tucked away in pockets of East Vancouver. Today we would like to introduce you two talented young men, Joshua Hooge and Steve McFarlane, who are making sustainable, eco-friendly furniture in SE Vancouver. 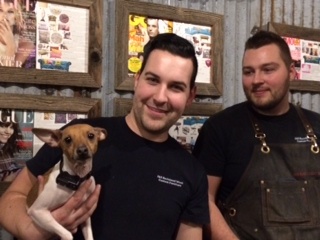 Joshua and Steve are the creative force and elbow grease behind J&S Reclaimed Wood Custom Furniture. 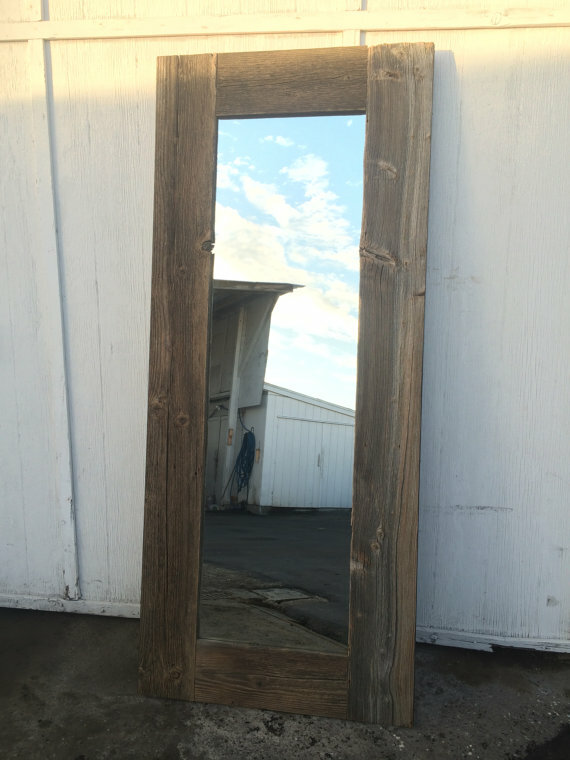 These two started building reclaimed wood furniture as a hobby. Soon friends and family started requesting custom pieces and word started to spread. As orders starting flowing in, they moved from their backyard operation to an East Vancouver garage and worked on production in the evenings and weekends. They initially offered their custom woodwork services on Craigslist. Then they became aware of Etsy and that’s when things really took off for these two entrepreneurs. Not only did your average Joe find them on Etsy, but so did Vogue Magazine who wanted to feature their products in their next issue, then along came GQ Magazine, followed by Tatler Magazine. With the increase in demand for their furniture, about 2 years ago, J&S Reclaimed Wood moved into a historic 1920s warehouse located at #43-1640 East Kent Avenue on the Fraser River in SE Vancouver. They are located in one of about 50 work spaces on the site of Northern Building Supply. 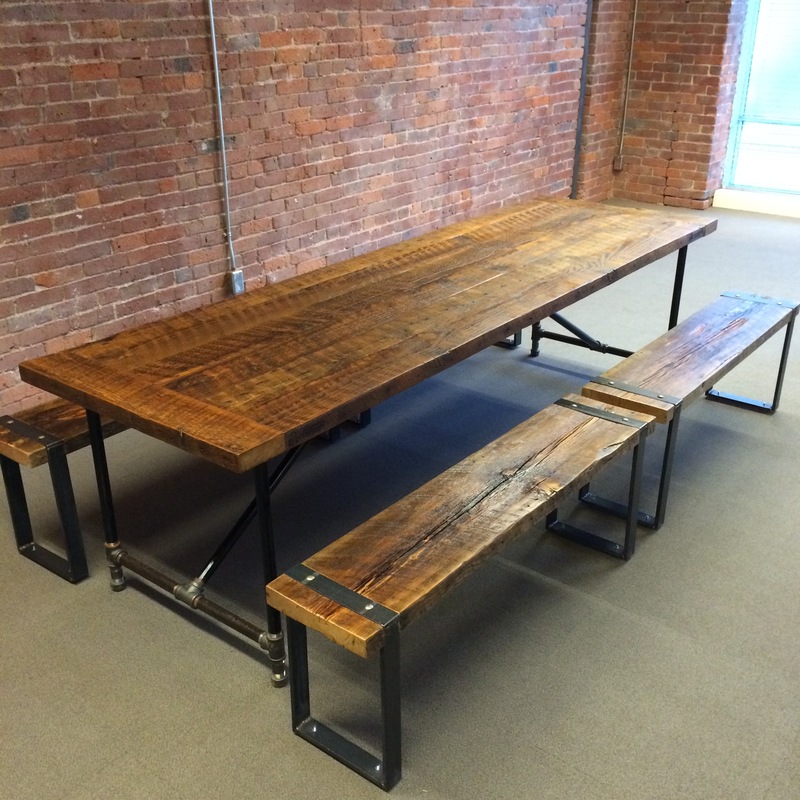 Not only do Joshua & Steve make amazing custom wood furniture, they are good stewards of the environment. In their shop, no wood is wasted. Every last bit is used. 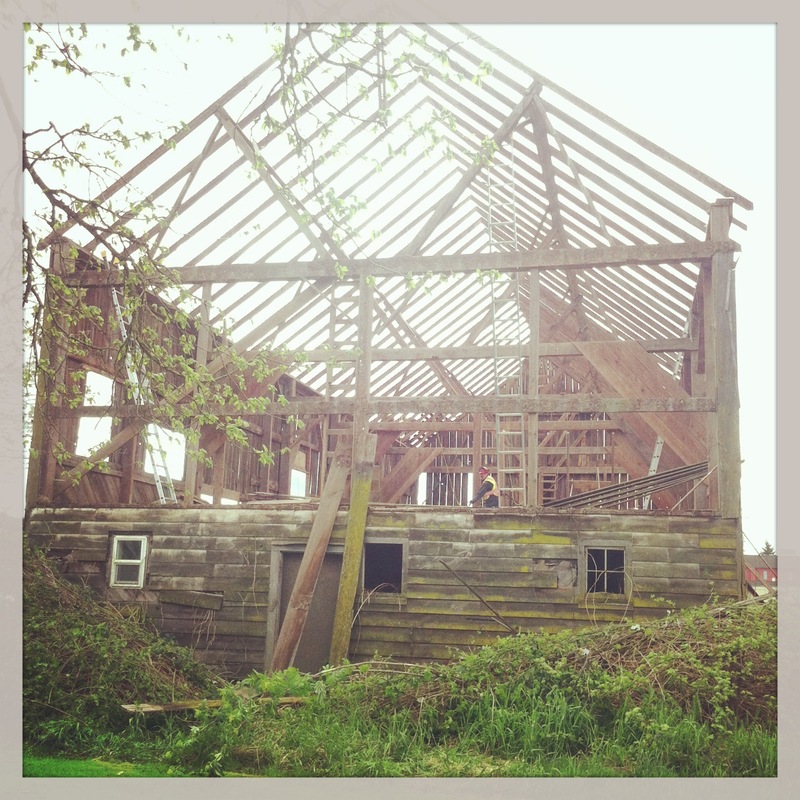 As to where they get their wood, most recently Joshua and Steve worked tirelessly to dissemble a 100 year old barn (pictured below) in the Fraser Valley. They also salvage wood from a variety of sources from heritage buildings to wooden shipping pallets. As Joshua and Steve’s business grows, they have been using interns through Tradeworks. Tradeworks is a local non-profit based in Strathcona that provides training and hands-on experience for women in trades who have barriers to employment. Joshua and Steve have now hired two of their interns. 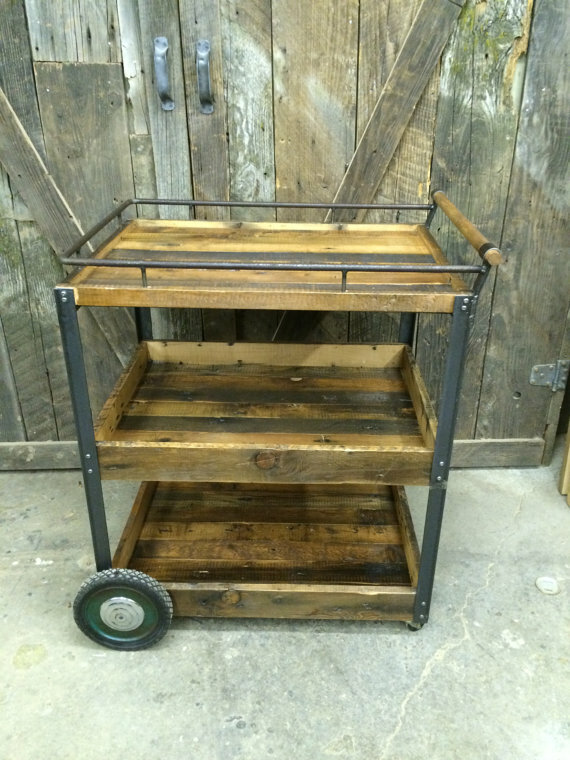 J&S Reclaimed Custom Wood Furniture make an array of furniture from tables to bar stools to cabinetry and did we mention metal work? 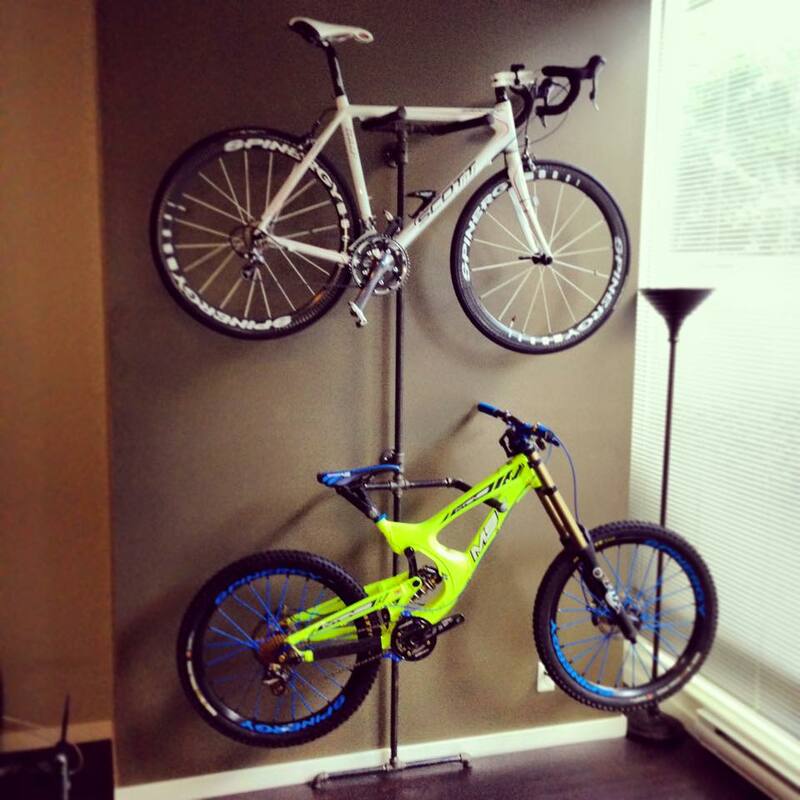 One item that caught our eye was the two-tier wall mounted bike rack (pictured below) that is wrapped in leather scraps to protect the bike frame and allow you to keep two bikes securely stored indoors in a space saving manner. Joshua is a certified red seal heavy duty mechanic so he does their custom metal work. The piece pictured below will run you approximately $430. We also fell for a beautiful floor to ceiling mirror (pictured below) which price ranges from $300 – $800 depending on the type of wood used. You can also find examples of their work around town including Liberty Distillers, La Cantina Urban Taco Bar in Whistler and Big Rock Brewery opening soon in the Olympic Village. So this means, if you would them to make you a beautiful piece of furniture, you best place your order. They have a 2 month waiting list now, but for furniture that will be sure to last you a life time, more than worth the wait. 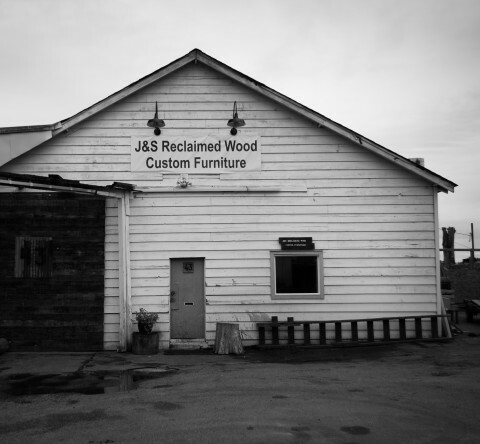 To learn more about J&S Reclaimed Custom Wood Furniture, you can visit their website, Etsy site, or contact them directly by phone at T: 778-991-2707, or by email contact@jsreclaimedwood.com. You can also find them on Twitter.